You can change the layout of any WordPress page by using the Layout Template module in Page Builder. Click Templates in top right corner. From Layout Templates dialog box, choose the template you want use. Click either Replace Existing Layout or Append New Layout. 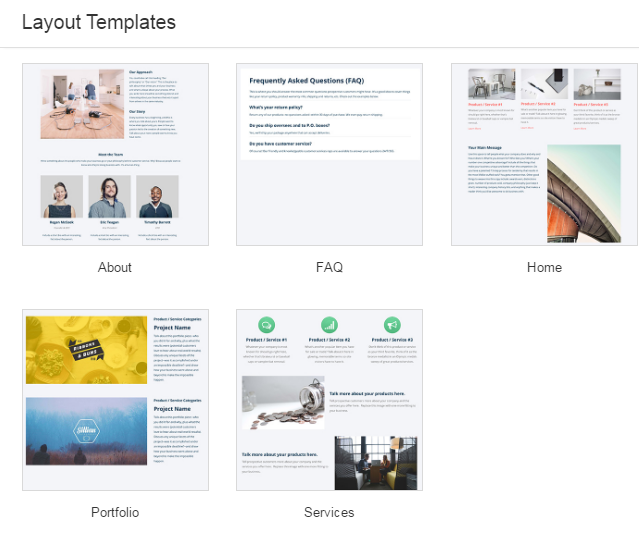 Note: Changing the template will Replace your existing page layout, whereas the Append option will add the new template to the end of your existing layout. Click Done in top right corner.